Spain remain top of their 2018 World Cup qualifying group after a hard-fought 2-1 win over FYR Macedonia on Sunday night. Julen Lopetegui's starting lineup featured Gerard Piqué, Jordi Alba, Sergio Busquets and Andrés Iniesta. 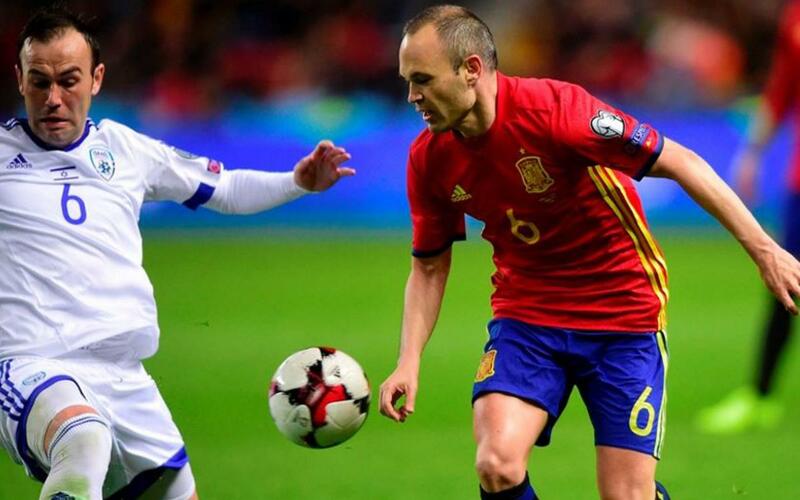 The first goal came after a fine ball from Iniesta to Jordi Alba who then cut the ball back for David Silva to give Spain the lead on 15 minutes. It was 2-0 soon after as Isco laid the ball across goal for Diego Costa to tap home. Macedonia got back in the game with a fine run and strike from Ristovski on 66 minutes, but Spain held on to remain at the summit of Group G.